Edinburgh Airport becomes the first airport to offer wheelAIR cooling backrest cushions to disabled passengers working with airline and airport assistance services provider, OmniServ. Following a successful summer trial wheelAIR cooling backrest cushions have now been purchased from Edinburgh-based mobility dealer FastAid Products. Be it on arrival or departure, passengers can now use the wheelAIR to keep them cool, comfortable and in control. Feedback from their summer trial revealed that passengers found the wheelAIR to significantly improve their airport experience because of the extra comfort provided. “The feedback from the wheelAIR trial certainly exceeded expectations. It is clear that this product is going to be life-changing for so many wheelchair users. OmniServ accommodate for up to 350 disabled passengers per day and sometimes up to 10 per flight at Edinburgh Airport working to make a real and lasting difference to disabled people’s experience of travel. 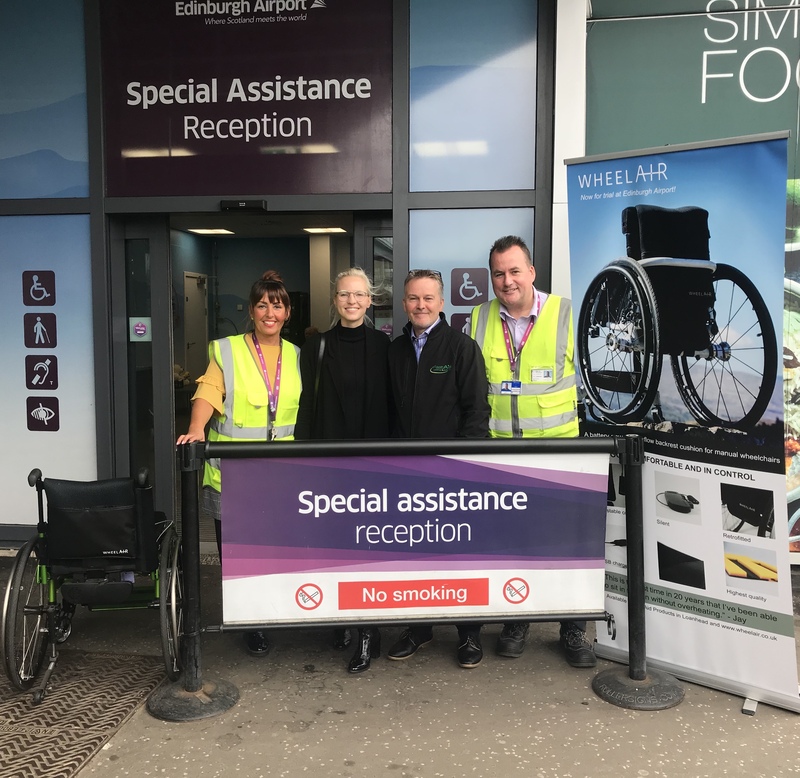 Being the first airport to purchase the wheelAIR, OmniServ and Edinburgh Airport remain cutting-edge in their service offering for disabled passengers. “We have embraced the opportunity to work with Fast Aid, Edinburgh Airport and OnmiServ on this project. We want to keep the conversation on accessible travel active, as well as make sure wheelchair using passengers have the most comfortable airport experience possible.